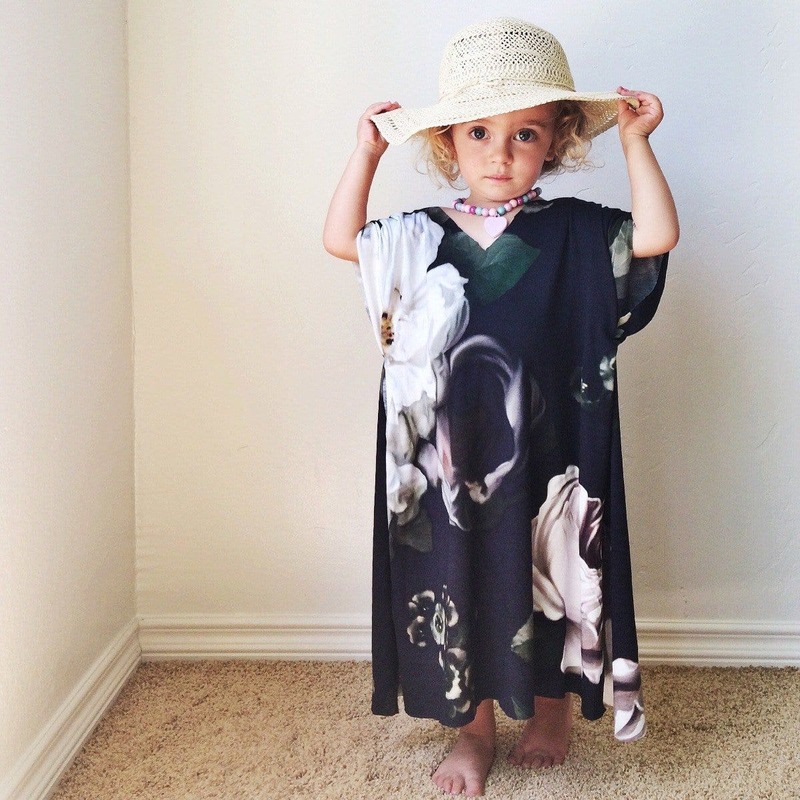 After Nikki Li Kinowski (@jeadoreblogger) made a dress for herself from our Dark Floral Fabric, her daughter Imogen asked Mom to make one in her size. 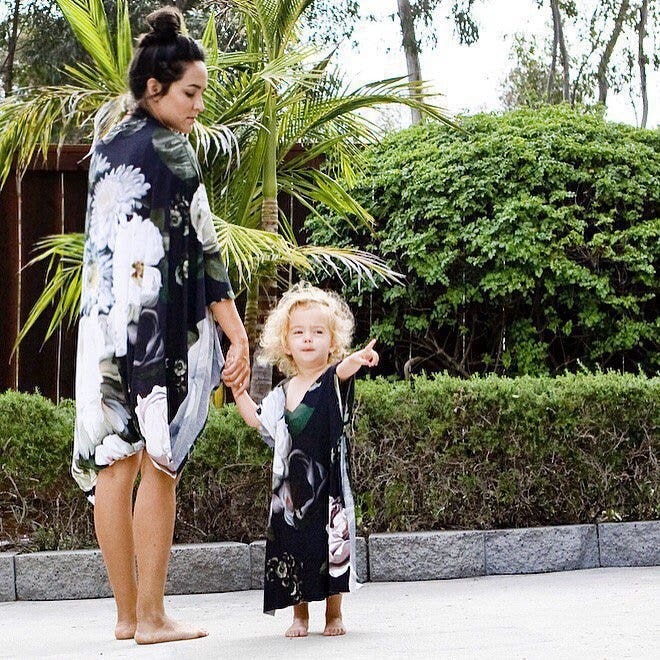 Imogen loved receiving a gift from Nikki that was her mother's own concept and creation, and of course she loved being able to dress up just like Mom. 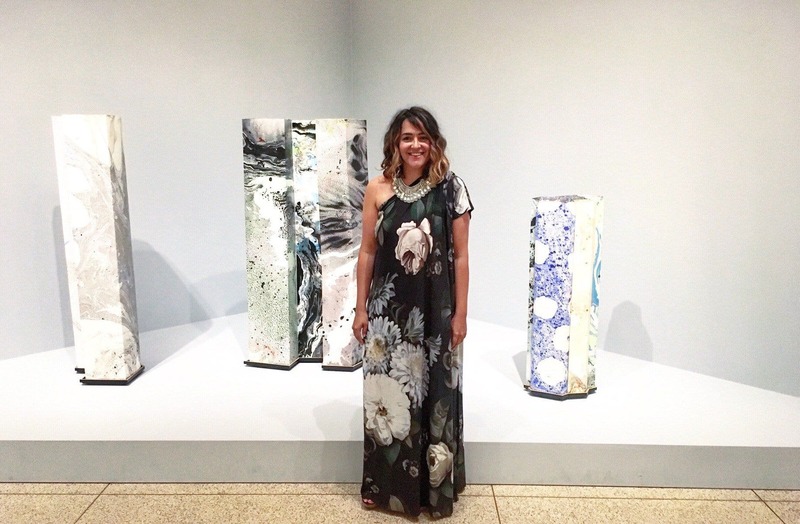 Nikki Li Kinowski lives in Sunny Southern California with her husband Adam, Daughter Imogen and their two fur babies, Faith and Goldie (though a piece of their hearts is still in Wisconsin). She is a creator of the Scalloped Window where she creates and sells faux floral goodies, enjoys extraordinary ordinary days and works daily as a senior designer for the plant team on ProFlowers.com. - Where did you get the idea for the dress? - What was your intention by making those dresses? - What does your daughter think of the dress? - Have you two worn the dresses on the same day? How does that feel? - What kind of feeling does the Artwork give you? - Have you gotten any feedback on the dresses? Comments/compliments, etc?